Unfortunately, a handful of Democrats sided with the administration and against efforts to end Saudi atrocities in Yemen. But it is also unconscionable for members of Congress, especially Democrats, to aid and abet Trump’s wrongdoing. Trump’s alliance with the Saudis—which renews the worst of past US practices and extends them at a point when Riyadh is engaged in a brutal assault on the people of Yemen—must be scrutinized, checked, and balanced by the House and Senate. But that will only happen if Democrats form a united front and side with responsible Republicans to prevent arms sales to the Saudis. On Tuesday, 47 senators voted to block a substantial portion of the arms deal the president has promised the Saudis. Unfortunately, 53 senators, including five Democrats, sided with Trump. That a majority of senators would turn a blind eye to what is happening in Yemen is horrific. That a group of Democrats who join that majority, at a time when a number of Republicans are saying “no” to Trump, is indefensible. The issues that are in play are not a close call. The concern about US arms sales to the Saudis is widespread among human-rights groups. Recognizing the madness of providing the Saudis with more weaponry—and justifiably concerned that officials in Riyadh will take from the approval of increased arms sales a implicit signal of US approval for more warfare and killing—Kentucky Senator Rand Paul broke with Trump and launched a move to block Trump’s morally reprehensible choice. The senator’s impassioned argument won support from across the political spectrum. 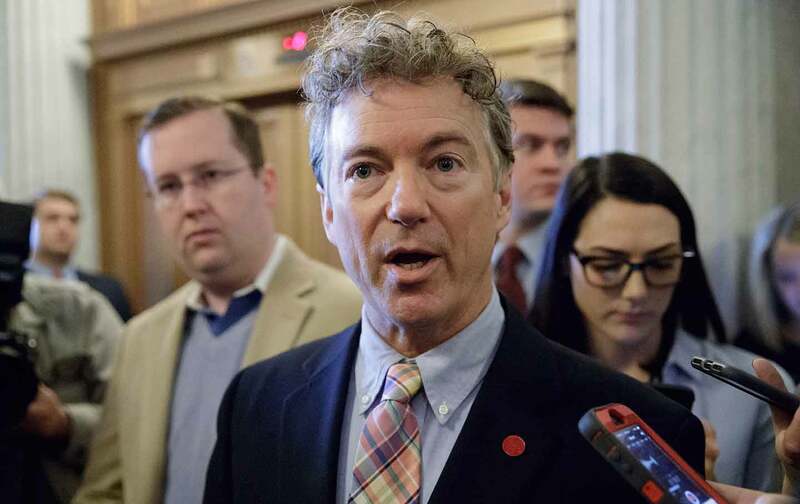 Teaming with Connecticut Senator Chris Murphy, a Democrat who has often taken the lead on human-rights issues, Paul succeeded in generating a historic level of opposition to giving a blank check to the Saudis. The initiative gained the support of four Republican senators—Paul and Mike Lee of Utah, Todd Young of Indiana, and Dean Heller of Nevada—as well as 43 Democrats. Unfortunately, the five Democratic senators who sided with the administration—Indiana’s Joe Donnelly, Missouri’s Claire McCaskill, Florida’s Bill Nelson, West Virginia’s Joe Manchin, and Virginia’s Mark Warner—prevented Paul and Murphy from succeeding. The determination of those Democrats to back Trump’s Saudi agenda is shameful. They are aiding and abetting not just an irresponsible and wrongheaded Republican president but policies that are likely to lead to significantly more death and more suffering. That’s frustrating. But it is important to recognize that the fight to limit arms sales to Saudi Arabia is gaining momentum. An effort by Paul and Murphy to block rank sales to Saudi Arabia last year drew just 27 votes. This year, 20 more senators sided with Paul and Murphy. That’s right. Responsible members of the Senate and the House should keep up pressure on the thoroughly irresponsible Trump administration. At the same time, Americans of all political backgrounds should keep up pressure on the members of Congress who empower this president—especially those Democrats who align with a Trump administration that shows so little regard for human rights and human life.